A PDF viewer and editor. Is there a better alternative to PDF Editor X? 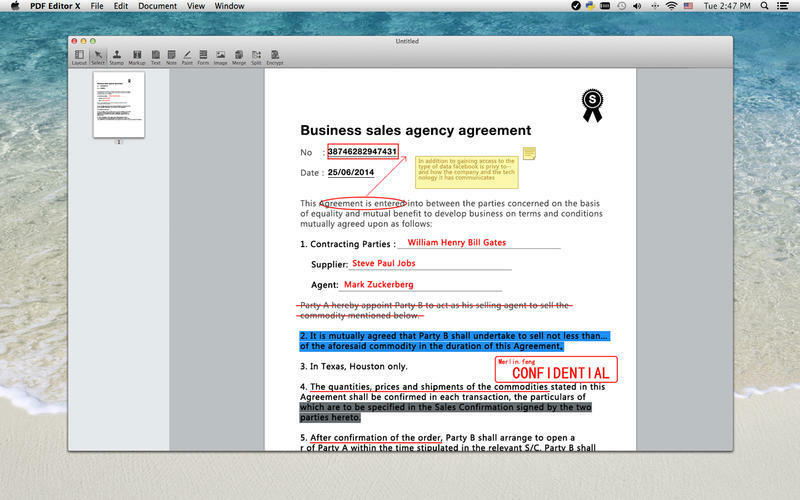 Is PDF Editor X really the best app in Word Processing category? Will PDF Editor X work good on macOS 10.13.4? PDF Editor X is an editor/viewer of portable document format files (PDF). It is the best tool for searching, editing them, adding notes, highlighting sections, copying and much more. It is the good helper to your task.You can handle you PDF files easier with it. PDF Editor X needs a review. Be the first to review this app and get the discussion started! PDF Editor X needs a rating. Be the first to rate this app and get the discussion started!